Bright and colorful, this basket exudes a subtle pinewood fragrance. 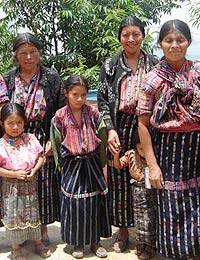 It is woven by hand with pine needles collected from nearby areas in the Sololá region of Guatemala. The women from Komon Utzil combine the needles in their natural color with dyed ones to create a stunning contrast. The basket is sewn with raffia creating ornate motifs.